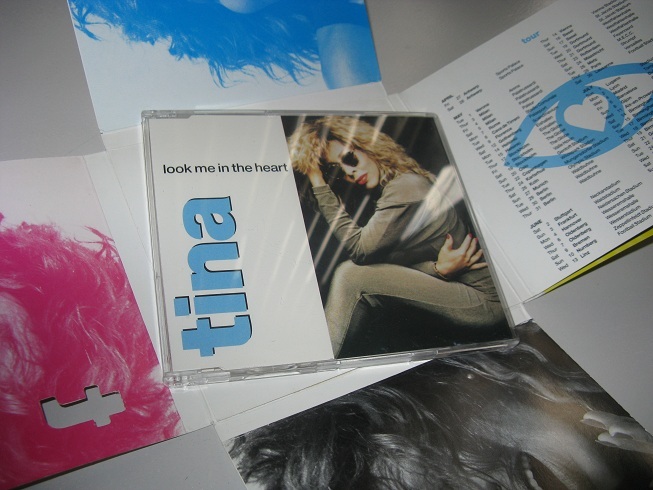 This limited edition CD-single of Tina Turner’s Look Me In The Heart was released in 1990. The single features the 7″ version of the song, originally released on the 1989 album Foreign Affair, as well as an instrumental version and the Tina Turner Montage Mix. This last mix is a combination of Tina’s biggest hits from the 1980’s, remixed by Les ‘The Mixdoctor’ Adams. This single was released in the United Kingdom and features a fold-out sleeve including the tour dates to Tina’s 1990 European tour. 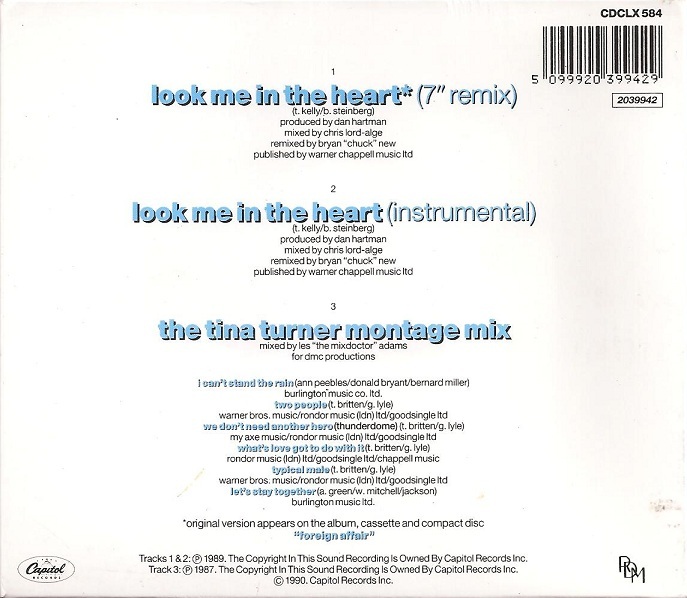 Below you can listen to the instrumental version of Look Me In The Heart as well as the Tina Turner Montage Mix. Enjoy! I really like the mix of different songs… They come out well as one! Ciao Tina Turner ti scrivo questo messaggio per dirti che io ascolto sempre tutti i tuoi cd scritti con il cuore e con l amore che metti ogni giorno della giornata e con la passione che metti a scriverli e a cantarli come tu sai fare da tatto tempo ciao mia unica SIMPLY THE BEST .